Preparing to put your home on the market? 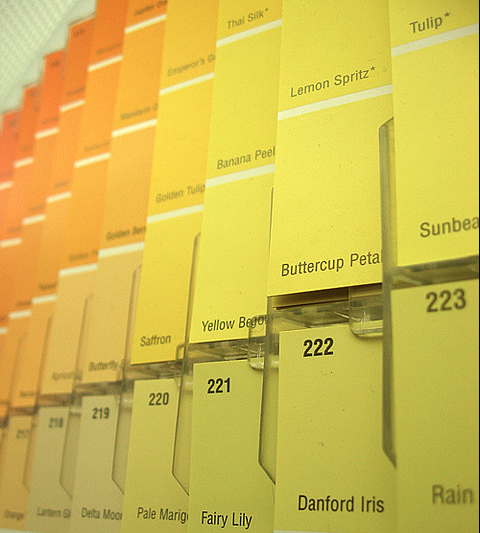 Recall the proverb “first impressions are the most lasting” and then start looking at paint swatches. It’s the essence of curb appeal: A smartly painted home will catch the eye of a prospective buyer before anything else. But whether you hire professionals or tackle the job yourself, an exterior paint job requires plenty of forethought, from color selection to type of paint. Most design professionals recommend a color scheme that blends in with neighboring homes, although sometimes the opposite works well, too. San Francisco homes, after all, are world-famous for their bold combinations of up to a half-dozen colors, shades, and hues. According to paint manufacturer Sherwin-Williams, white or a light color can make a house appear larger and the lot seem smaller. Dark colors can make a home look smaller but more substantial. Homeowners can scale down height by painting the upper portion of a tall house a deeper tone than the bottom portion. If a house sits far from the curb, painting it a light color will visually bring it forward. Sherwin-Williams also advises that you consider the landscaping around your home — tress that change color, flowering shrubs, and flower gardens — for color compatibility. Note that the shade from trees on a heavily wooded lot will make colors look darker. Other paint manufacturers also offer color advice, of course: Glidden presents 15 modern palettes, each with four complementary colors, and Benjamin Moore presents its “New” Neutral Palette for 2014. Behr groups its exterior paints by temperature — cool, neutral, and warm — and also suggests colors by architectural style: Craftsman, Modern, Spanish Mediterranean, and Victorian Tudor, to name a few. The National Association of Realtors’ HouseLogic website also offers smart advice on how to prep and paint the outside of your home. A separate page on the website discusses the pros and cons of various types of paint: acrylic, oil-based, and stains. HouseLogic also presents valuable information on “green” painting, with eco-friendly tips and a suggestion to use “low-VOC” paints — those with exceptionally low levels of volatile organic compounds. Feeling weighed down with decisions to make? The HouseLogic site will also make you smile. Or cringe. Check out its “Wacky Exterior Paint Jobs” page for some unique approaches to exterior painting. How unique? Imagine a Hello Kitty-themed design and color scheme.